Ink Web Solutions has composite of years in Microsoft ASP.NET Development and ASP.NET consulting and .Net off shoring along with ASP.NET Applications and development, we cater programs with asp.net, Asp.net Software Development Chandigarh, Asp.net development Chandigarh, ecommerce solutions, shopping cart development and others.ASP.NET can be used to composite dynamic websites, web applications and web services. This application provides advantage for other script base technologies with ASP by combining the server side code for more than one file on web server. We have domain expertise in Dairy goods, textile industry, school management, job portals, accounting and mobile technologies and many other domains. Our team combines of skilled, experienced and professionally qualified staff. With the deep knowledge of developing web based applications, ecommerce/shopping carts development, consulting asp.net. We expertise in many technologies which are like exposure to VB.Net,C and ASP.Net, ADO.net, COM integration, Microsoft .Net 3.5 framework, web services, web forms, web server controls, My SQL server 2000/2005, XML, XSL and RSS. Ability to work in HTML, DHTML, Java Script and AJAX. Better efficiency of allocation in house staff. 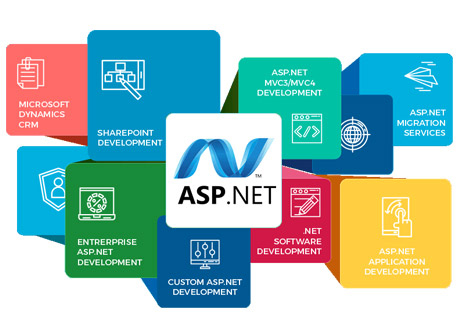 Chandigarh's Leading asp .net Development Company ! Ink Web Solution provides asp .net Development services in Chandigarh, Mohali, Himachal Pradesh and India. Ink Web Solutions ASP.Net development services span the full cycle of custom software programming services, from product implementation, design, asp.net development to on-going support and enhancement.